you correctly figured out a nice way to get some free cash at bet365 (10€ for the deposit + many tournament tokens). Please consider the most appealing part of this deal which are the bet365 premium tables. Those tables are only accessible by bet365 players themselves. In other words, this guarantees highly profitable tables with lots of fish for you as sportsbetting is the main focus of this well known brand. Feel free to give it a try & to support PokerMarket with your sign up. For the deposit at bet365 you will also get 10€ (100 Tokens) for free to go shopping at our Marketplace. Bet365 just released a new software. 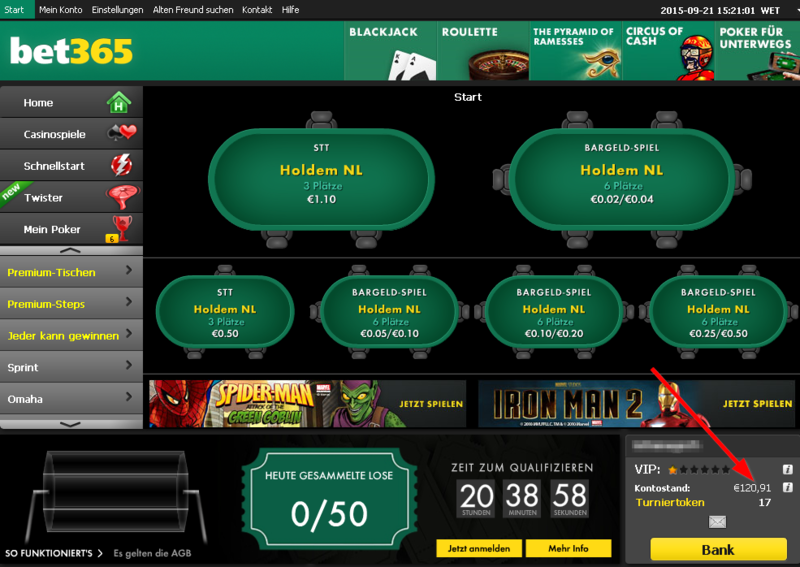 Don't forget that PokerMarket recommends this site to play 1-3 tables beside your casual grind. They have Bet365 only tables (marked with a star)!